SAN FRANCISCO, March 14 (Xinhua) — The Chinese Consulate General here on Thursday became the first Chinese diplomatic mission on the U.S. West Coast to introduce mobile payment for its consular services including passport and visa processing. WeChat pay and Alipay, the two most popular mobile payment platforms back in China, are now available for clients who apply for visa processing and passport application or renewal, as well as other consular services. Another mobile payment platform, UnionPay QR Code Payment, which is gaining popularity in China, is also accepted. All the payments will be made in Chinese Yuan, with the equivalent U.S. dollar amount automatically converted by the exchange rate of the transaction day adopted by the three mobile payment platforms. No additional fees will be charged for the transactions, said an official responsible for visa and passport affairs at the Consulate General. Wang Donghua, China’s consul general in San Francisco, called the mobile payment “a consular service at one’s fingertips” at the launch ceremony, adding that the adoption of mobile payment for consular services is part of a New Year’s gift package announced by the Chinese Foreign Ministry in 2019. The mobile payment for consular services is provided by Citcon, a partner of Alipay and WeChat Pay in North America. 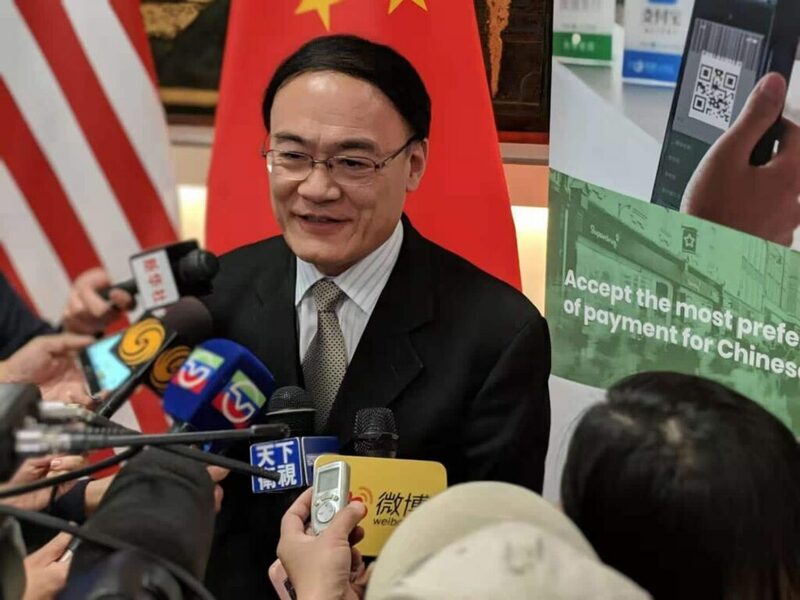 “With WeChat pay or Alipay, people who come to the Consulate General will save a lot of time as their payment transactions will be done in a few seconds,” said Wei Jiang, COO and president of Citcon. A young couple from Shanghai, eastern China, who came to San Francisco for sightseeing, with the husband identifying himself as Chen by surname, was given a big surprise as they were the first customers who paid with WeChat pay for their temporary passports after the service was officially launched Thursday afternoon. “Our passports were stolen yesterday after our car was smashed and broken into when we were away for a while,” Chen said. “But we were very lucky because we applied for temporary passports and got them immediately after we paid via WeChat with our mobile phone. It’s very convenient, swift and highly efficient, as easy as what we did in China,” he added. 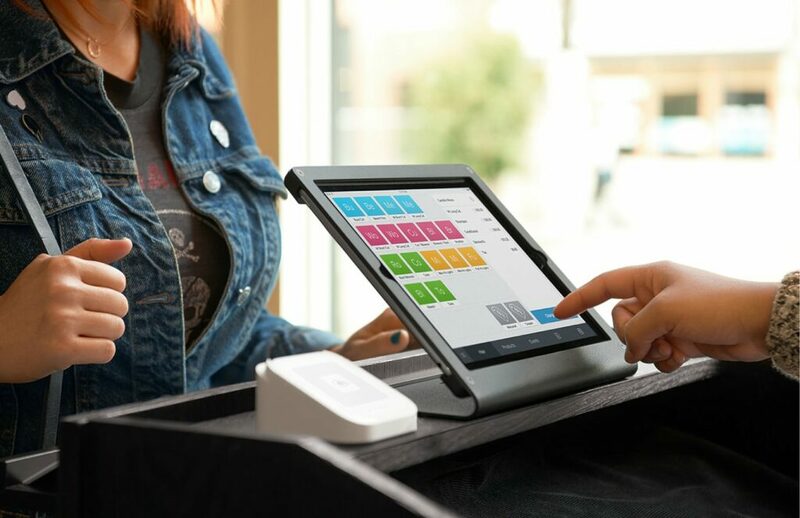 The Consulate General in San Francisco is the second Chinese diplomatic mission in the United States to introduce mobile payments, after the Consulate General in New York first unveiled the service on March 6 on top of traditional cash and credit card payments. Similar services will gradually be expanded to other Chinese diplomatic missions in the United States, such as the Chinese Embassy in Washington, D.C., and consulates general in Chicago and Los Angeles said Citcon’s Jiang. If you have any question, give us a message. We will get back to you soon! Samsonite Partners with CITCON to Bring Chinese Mobile Payment Options to Stores in the U.S.